The Knowledge Guru platform continues to expand its features and functionality using customer feedback as our guide. 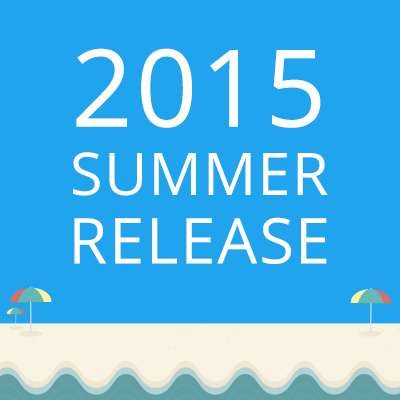 Our Summer 2015 Release is all about expanding your options globally. We are introducing six new languages so you can expand your coverage to non-English speaking learners across the globe. We have also expanded the ways you can use spaced repetition within our Quest game type to maximize retention. Six New Languages available; Spanish for Everyone! With the Summer Release, Enterprise subscribers now automatically have six new languages to choose from in addition to standard English: Chinese, French, German, Italian, Japanese, and Spanish. If you are a current customer, you will find these options in your Game Author tool, under the Customize tab. Just click the drop-down box for Theme and select the one you need. Standard and Premium subscribers have also been updated with the Spanish language option. The most powerful feature of Knowledge Guru’s award-winning design is the spaced repetition it provides. In our Quest game type, administrators have already been able to turn on automatic spacing so that players can only play one topic per week. This design maximizes knowledge retention and encourages gameplay in short chunks. But while weekly spacing is optimal from a learning science standpoint, it is not always practical in real-world implementations. Thanks to some helpful feedback from our customers, we’ve added a new spacing option that allows players to play an entire world in a single day, then return the next day to play another world. This allows players to complete a game quickly while still benefitting from the spaced repetition of the platform. We have added several new articles in our knowledge base to help you get the most out of your Knowledge Guru subscription. 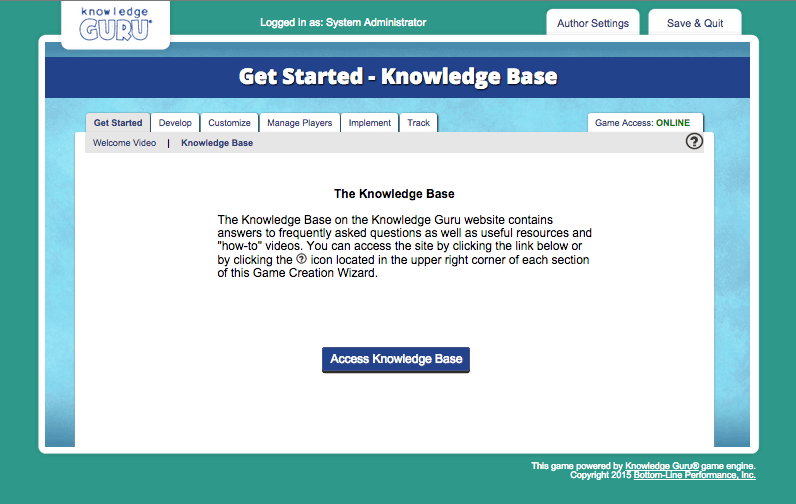 Remember, you can access the Knowledge Base at any time by clicking the “Getting Started” tab in your Game Author tool, and selecting Knowledge Base. Want to help inform the Fall Release? 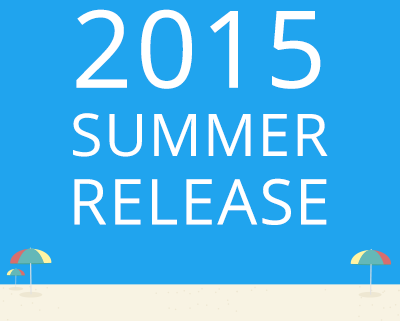 Our Fall 2015 release will be here before you know it… and we have some exciting new features planned. Part of the release will be an integration with Salesforce, and we would love to consider your feedback as we continue development. Fill out our four question Salesforce Integration Survey to let us know what features you would like to see in a Salesforce integration. 7 Steps to an Effective Serious Game or Gamification Implementation Is Your Sales Process a Second Language Yet?